Elena Kagan’s confirmation hearings haven’t been vapid at all. 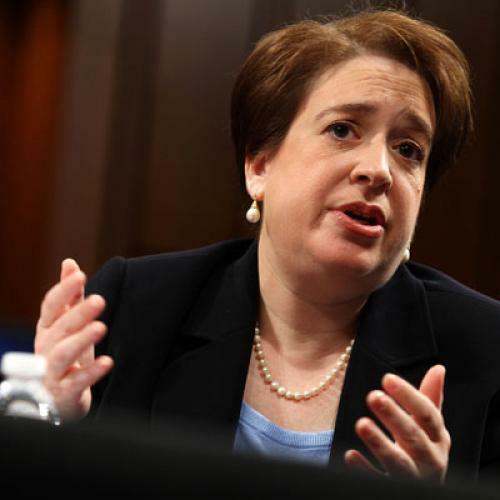 Far from turning into a “vapid and hollow charade,” to use Elena Kagan’s now-famous condemnation of other Supreme Court confirmation hearings, her own have been impressively substantive. But the most surprising development in the Kagan hearings this week has been the performance of the Senators: Both Democrats and Republicans have articulated clear visions of the law—Democrats say judges should uphold progressive legislation like campaign finance and health care; Republicans say they should strike those regulations down—and have pressed Kagan in sophisticated ways. My nominee for the best question comes from Senator Al Franken, who, although not a lawyer, has emerged as the leading progressive constitutionalist in the Senate. In his championing of net neutrality and opposition to the Comcast/NBC merger, Franken recognizes that private corporations, like Comcast, now have more power over who can speak than any government, and that the most important threats to free speech in the twenty-first century will come not from government but from the concentration of corporate power. “When the same company owns the programming and runs the pipes that bring us the programming, I think we have a problem,” Franken said to Kagan. Quoting an opinion by Justice Hugo Black, which held that First Amendment values support vigorous antitrust enforcement because “freedom to publish is guaranteed by the Constitution, but freedom to combine to keep others from publishing is not,” Franken worried that Comcast, “the nation’s largest cable operator and also the largest home Internet service provider” could “if it owned both the pipes and the programming,” have “the ultimate ability to keep others from publishing,” favoring its own programming or charging more for it. “To make matters worse,” Franken said, “if Comcast and NBC merge, I worry that AT&T and Verizon are going to decide that they have to buy ABC or CBS to compete,” resulting in “less independent programming, fewer voices, and a smaller marketplace of ideas. That's a First Amendment problem. It's also an antitrust problem.” That led to Franken’s question: “Given all of this, do you believe that the First Amendment could inform how the government looks at media antitrust cases?” Kagan, while unable to comment on the pending Comcast merger, acknowledged Franken’s point: “I guess you could be thinking about that as a kind of policy matter as to whether the authorities that are responsible for approving mergers and such ought to take into account so-called … First-Amendment values.” While the cable shows were focused on his doodles of Senator Sessions, Franken was making a serious point. And it reinforced the theme he struck throughout the hearings: that the pro-corporate decisions of the Roberts Court are harming American citizens in tangible ways. Jeffrey Rosen is The New Republic’s legal affairs editor.